Dr. Sircus is available to take patients via his online clinic. There are two ways to benefit from his expertise, you can either have a single consultation with him or subscribe to one of his online clinic programs. After you pay for the consultation or online program you will receive a link to download a questionnaire that needs to be filled in and sent back to us with a recent picture of the patient. Dr. Sircus will review your case and the staff will get in touch with you to set up your appointment. This entire offering of online support and consultation extends to anyone interested in professional-to-professional training and for those who might eventually want to become registered and certified by the International Medical Veritas Association. If you have any questions please watch the videos below or contact us. People interested in doing consultations about cancer should visit the Surviving Cancer Compendium page. The Surviving Cancer Compendium contains a turnkey cancer treatment program that can be implemented by any patient, practitioner, clinic, spa or hospital. This compendium is like an army field hospital set-up guide for patients who want to treat themselves in the comfort of their own home. I consult and teach people how to do this in desperate situations no matter where they live with the compendium being the textbook and reference guide. The compendium is 2,500 pages long. It sets a new precedent in cancer information and care. Our professional program is now offered for health professionals of many different types, including nurses, acupuncturists, chiropractors, colon therapists, spa professionals, doctors etc., who want to learn and have full support in treating patients with cancer with the Natural Allopathic Medicine protocol. The 2,500 page Surviving Cancer Compendium is included and provides the written component and a series of consultations with me is available through a three to six month period. The cost is $1,200 to $2,400 for this program. A single consultation is recommended in cases where the need for Dr. Sircus’s advice is brief and also if the person is already familiar with his work. It is highly recommended that patient reads the book Treatment Essentials before consultation, for more efficient use of time. If you are already familiar with Dr. Sircus’s work, have read Treatment Essentials and have specific questions on how to implement treatments, you can contract a mini consultation of half an hour. The consultation is one hour long and can be broken in two parts so the doctor can follow up with you after you start implementing the protocol. In Dr. Sircus’s online support programs you will have access to him and his staff on a daily basis and he will instruct you step-by-step in the application of his protocol and follow-up with patients’ reactions, advances, etc. Extended email and Skype text exchanges are used as well as audio and video conferencing. 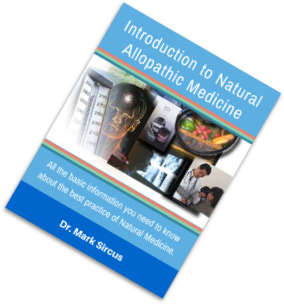 Program 1 fee includes four of Dr. Sircus’s e-books and is recommended for people, families and children who need in-depth support with doing the full Natural Allopathic Protocol. This would include cancer patients who have read Treatment Essentials and who feel that they will need support, daily at times. Time frame is generally a month but the program is flexible and can be adapted to last over a longer period of time. Program 2 fee includes four of Dr. Sircus’s e-books and is recommended for people, families and children who need in-depth support with doing the full Natural Allopathic Protocol. This would include cancer patients who have read Treatment Essentials and who feel that they will need support, daily at times. Time frame is generally 3 months but the program is flexible and can be adapted to last over a longer period of time. Program 3 was designed for those who need intense in-depth support for a longer period. This is highly recommended for stage 3 and 4 cancer patients and for all those who have serious ailments that demand intensive care. This program would be for anyone wanting to engage Dr. Sircus in a deep process and counseling on emotional issues. The program includes all of Dr. Sircus’ eBooks and support spans for 6 months and sometimes longer. Both program 1, 2 and 3 are for people want to apply the full Natural Allopathic protocol.